At the beginning of episode 7 of season 2 (episode 32 on Crunchyroll), around 1:48, the colossal titan eats Ymir and one other person. You can't see their face in any part of the episode. Given who the colossal titan is, it seems strange to me that he would have eaten someone without a purpose, but only Ymir is seen later. Eventually, they run off on the armoured titans back and the second person is not with them. Surely they could not have been digested in the short time the colossal titan was present, and they were swallowed whole. Later on, when we see them in human form in the giant forest, no one besides Eren and Ymir are with them. Do we know who this person was? This was an unnamed, unlucky poor individual who was at the wrong place at the wrong time. If you watch this Youtube video, they aren't entirely sure who the Colossal Titan ate either. And they got somebody else, too! Just a random person. They didn't care about the guy, only about stealing his gear. 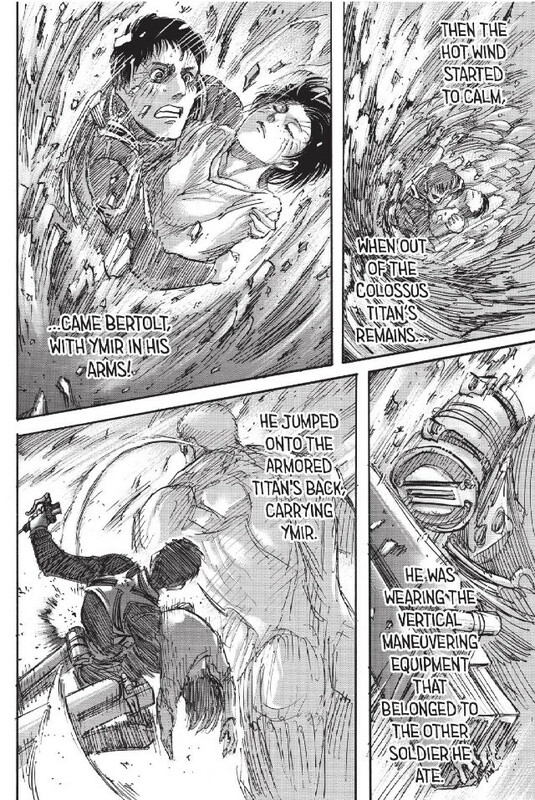 The other soldier that Bertoldt ate along with Ymir was killed and used by Bertholdt for the soldier's 3DMG to help Reiner and Bertoldt escape with Eren and Ymir in tow. (Note: While I have seen the Attack on Titan anime, I prefer the manga version of the series so my answer is based on the manga version of the events as opposed to the anime. But it doesn't really make a difference here because season 2 of the series did a a fantastic job of keeping most things exactly like they happened in the manga.)! he wouldn't eat her, which is why she is seen later. Supposedly he put them in his mouth for safe-keeping. Maybe that other soldier was grabbed by accident. the Beast Titan, because at the end, a blond-haired shirtless man wearing glasses emerged from the Beast Titan's nape. Also, that would explain his random disappearance because on episode 4 in season 2, he climbed the wall and was never shown again till the ending. Who is the 9th Titan shifter? 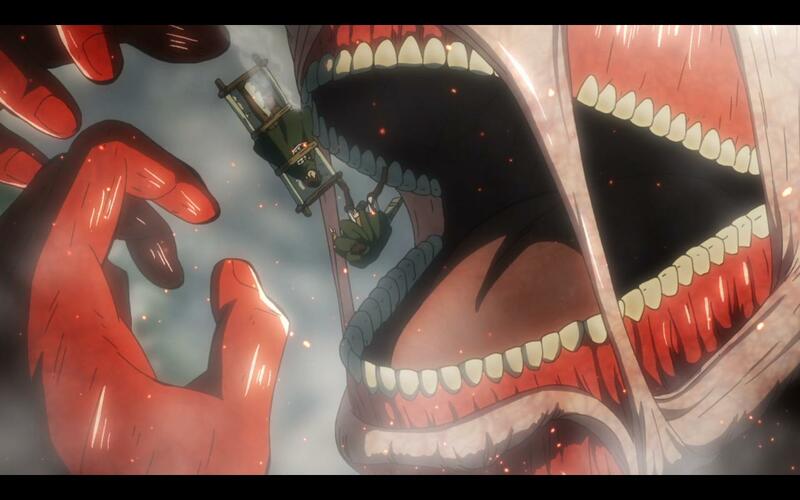 What would happen if Eren ate all of the other titans? Is there hard proof for the Curse of Ymir? How does a colossal titan come down once he is done shifting? Why doesn't Eren's Founding Titan ability to control other titans work on Rod Reiss' titan?